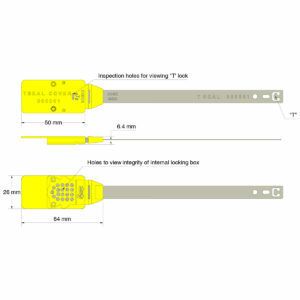 Fixed closing tin seal tend to be more tamper resistant than variable length security seal as there are no sliding parts, they simply ‚click‚ into place to lock, which can make them easier to fit than variable length metallic cable seals. Most fixed closing tin seals can also be branded, laser or mechanical writing, and numbered for extra security. 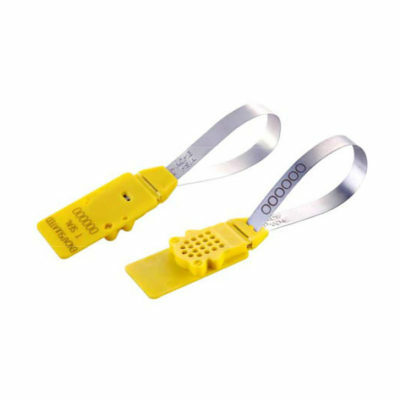 Fixed closing security check and control access security solution is often the choice of single use security seals for transport applications or security areas which request a high degree of mechanical tight of closure where the plastic security seals can not fulfill the specific security request.